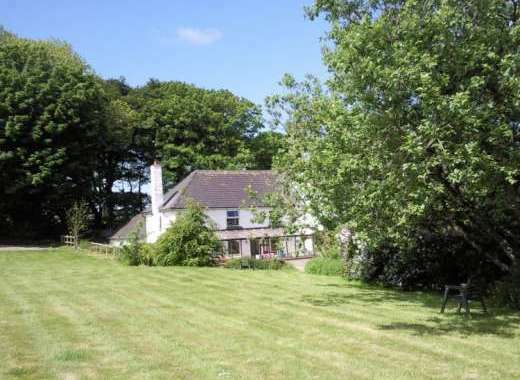 Contact Sykes at The Beams Country Cottage on 01244 500 540 or complete the enquiry form. Located just outside of the village of East Knoyle in Wiltshire on the border with Dover is this single-storey wing of a cottage that comfortably sleeps two people in one gorgeous bedroom. Perfect for a couple that are looking for a peaceful rural retreat, this part of the cottage is self-contained and provides guests with plenty of privacy. The cottage is home to a lovely open-plan beamed living area that includes a cosy kitchen with a breakfast bar and a sitting area with a wood burner to keep you warm on chilly evenings. If you are holidaying during the warmer months then you can make use of the private patio area and outdoor heated swimming pool, perfect for cooling off when the sun is out. Head into the nearby village of East Knoyle and discover the fantastic walking opportunities on offer in this Area of Outstanding Natural Beauty. The town of Shaftesbury is just 5 miles away while Gillingham is a bit further away at 7 miles. With Longleat Safari Park, Stonehenge and the cities of Salisbury and Bath also within driving distance you will not be short of places to visit while staying at this gorgeous cottage.